Portland, ME – Emma E. (Kilburn) “Nebby” Irish, 89, peacefully passed through Heaven's gate into God's garden very early on the morning of Sunday, January 7, 2018. She was the wife of the late Russell H. Irish. Nebby was born on June 17, 1928 in Batavia, New York the daughter of the late Arthur S. Kilburn & Emma D. (Dories) Kilburn. The family moved to Maine when she was 5 years old, residing in Cape Elizabeth where she graduated from Cape High. After which she attended & graduated from UMO class of '49. 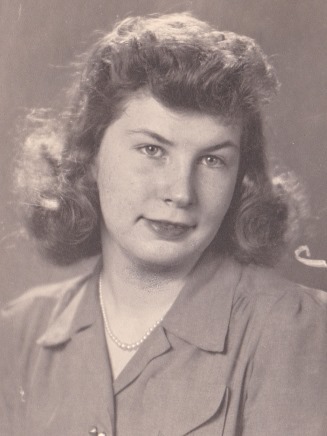 She led a full life, first & foremost as a wife, mother & homemaker in Portland. As her boys got older she took on various jobs; a teller at Casco Bank, medical office manager & as a nanny doing private family daycare in her home. She is survived by her two sons, Jim Irish & his wife Sue of Gold Canyon, AZ and Glenn Irish & his wife Jane of Robinhood, ME, as well as one grandson Brad Irish & his wife Jenny of Tempe, AZ. Nebby is also survived by many dear friends, particularly Alli, Joe & the Batoosingh family & the wonderful staff at 75 State Street. Per Mom's request there will be no services, but please keep her in your hearts, memories & prayers.